Here at AZ Net Worx we recognize our customers’ need for peace of mind. You need to know that the person working on your computer is going to do a great job! That is why our techs hold IT industry certifications. You choose a great doctor because of their licenses & credentials, and the same goes for your lawyer, car mechanic, and financial advisor. The same should be true for your IT professional. An IT certification, coupled with years of experience, is the most telling evidence of an IT professional’s knowledge and abilities. Industry certifications help show that your IT tech isn’t just good with computers and technology, but is a dedicated professional with commitment to a career in IT. 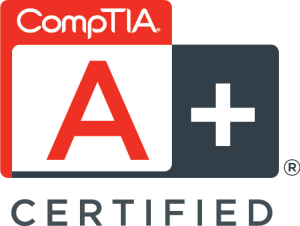 Why should you care if your IT tech is certified? Because it offers you the peace of mind that the job will get done correctly, the first time, by an industry professional.